Loop systems are often the most practical, cheapest and lowest maintenance solution for giving good quality access to the hearing impaired, and is therefore becoming the mostly widely used solution around the world. Once installed, an induction loop works for years without any maintenance cost for the owner of the venue. And not to forget – the hearing aid wearers do not need to pay for any extra receiver – the receiver is already built-in in their hearing aid! They just switch their hearing aids to T-position and enjoy the sound. That is real freedom! 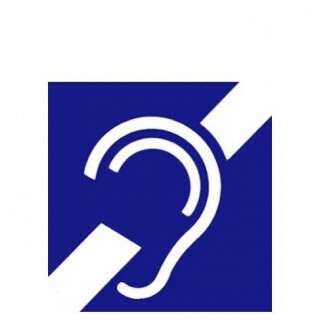 To bring back this freedom to the hearing aid users has always been the most important goal for us. With our strong belief that a induction loop is the best solution to transmit sound to hearing aid users we are constantly developing our products which improve the life of millions all over the world. Univox loop systems are designed to always supply enough power to really make a difference. Many can build loop amplifiers but only Humantechnik has the technical know-how, design expertise, long experience and manufacturing skills to build powerful induction loop amplifiers making Humantechnik an industry leader in induction loop design. Unfortunately there are many induction loops installed around the world that are not powerful enough to make hearing aid users really hear what is being said. The reason is often poor planning and/or installation of the system, but another common fact is that the amplifier itself is too weak to produce the current needed to create the necessary magnetic field strength. The system simply has been under-powered, mostly due to economical restraints or induction loop suppliers promising one thing but supplying another. At Humantechnik they don't play that game. They know there is no substitute for power and their amplifiers are always built to give that necessary power to the system: A combination of very high voltage, super-high current and strong long-lasting casing make their loop amplifiers unparalleled. The market position Humantechnik holds has been achieved by technical excellence, a unique market presence and a lot of hard work which allows them to improve their high product quality further and further every year and establishes an unrivalled development pace. They firmly believe that by keeping this high-quality setting they will keep their product quality at the level we wish and our customers deserve. Email the Sales Team at Comtel Technologies for more information on this product by clicking here.